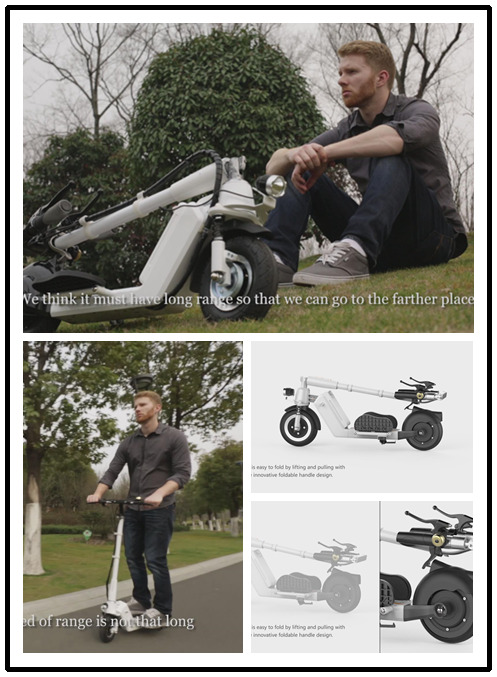 15, July 2016: As the first Z series 2 wheels scooter, Z3 has received compliment from outside. Now the Airwheel Z5 standing up electric scooter, with upgraded design has become popular, that is an ideal city riding equipment. 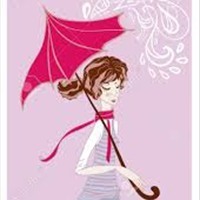 It has outstanding performance no matter it is about the range or the comfortable and portable aspects. Seen from exterior outlook, Airwheel Z5 2-wheeled electric scooter has a very harmonious and simple color matching. Z5 is available in two colors, white and black. Such color is suitable for riders of different ages and genders. Moreover, it looks slim and it only weighs 13.15kg, including the weight of battery pack. It is light among electric scooters so generally speaking, girls can easily carry it with no problem. Triple folding system of Z5 enables it can be easily carried into the elevator, subway, bus, or stored in a car trunk. 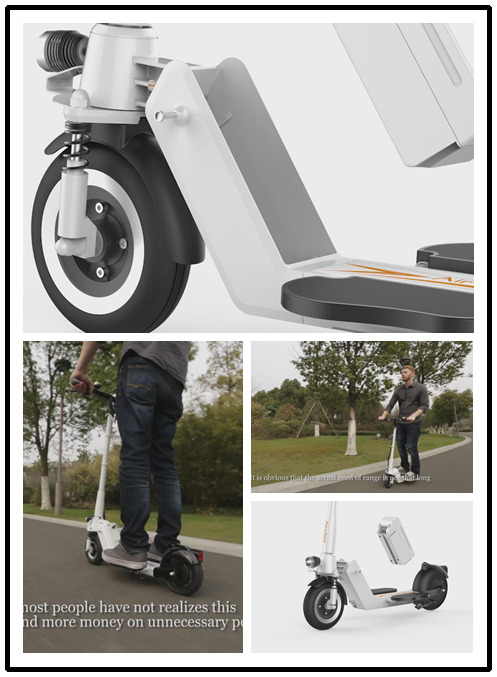 Airwheel Z5 electric standing scooter is more in line with the body's daily standing habit, and reduces the burden on both legs. Interlacing standing posture applied in traditional electric scooters leaves us a bad impression. The standing area is too narrow to allow two feet standing in parallel. Given that, Airwheel Z5 alters the interlacing standing posture to the foldable pedals. Airwheel Z5 is adopted golden division ratio design with better controllability and stability. The battery pack can be replaced and changed. This is one of the most creditable highlights in many designs for Airwheel Z5 intelligent power scooter. External modular battery design enables riders to change the battery, to upgrade range and to maintain the battery easily. What’s more, a thoughtful USB is added to the battery. During the journey, high efficient USB power supply interface can meet the charging demands of mobile phone, Tablet, SLR and other daily smart devices. Moreover, considering the different statures of riders, Airwheel Z5 2 wheel electric scooter has equipped with an adjustable operating arm. Exclusive Airwheel app is developed to learn the real-time riding condition, such as the speed, residual capacity, track, mileage, etc. By app to adjust Airwheel Z5’s current velocity parameters, it can meet travel demand and increase the level of comfort riding experience. This is your ideal city riding equipment.